Building and Construction Authority (BCA) has appointed Addiction Advertising as its integrated marketing communications agency. The agency will be responsible for the conceptualisation and provision of creative counsel for BCA’s Project BUILD Competition 2016 publicity campaign. It was also in charge of the same project which had its inaugural launch last year. For this year, the campaign will target youths and aim to promote better understanding on universal design (UD) and its importance shaping a more inclusive and friendly built environment for everyone. 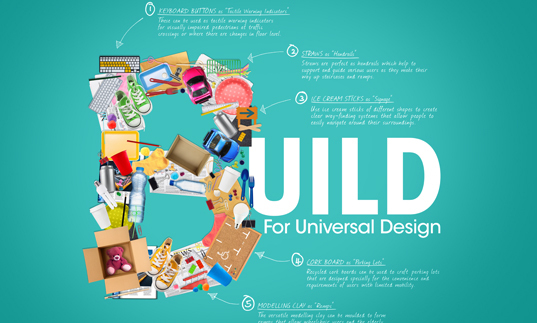 As part of the campaign, a competition encourages students from Secondary schools to Institutes of Higher Learning (IHLs) to use recycled materials to create their own miniature models depicting their ideal inclusive built environment. The island-wide campaign is expected to run in June and across multi-media platforms that include out-of-home, online and social. “Our city should be designed to meet the needs of all Singaporeans including the young, the old and persons with disabilities. Through Project BUILD, we hope that participants can have a better understanding on how inclusive design features in our built environment can make a big difference to people’s lives,” Tan Jwu Yih, acting director of BCA’s Universal Design department, said. “Following the success of Project BUILD competition 2015, we are grateful and hyped up to once again, be part of this meaningful social-driven campaign. We share and are driven by BCA’s vision of having a future-ready built environment for Singapore and the synergy has been amazing!” Lionel Lim, managing director of Addiction Advertising said. MPRN will help develop broadcasting programmes and modules as well as consultancy-related services for the next generation. ..
Often overlooked by marketers and brand managers, the humble corner store must become an ally to fast-moving consumer goods in the..